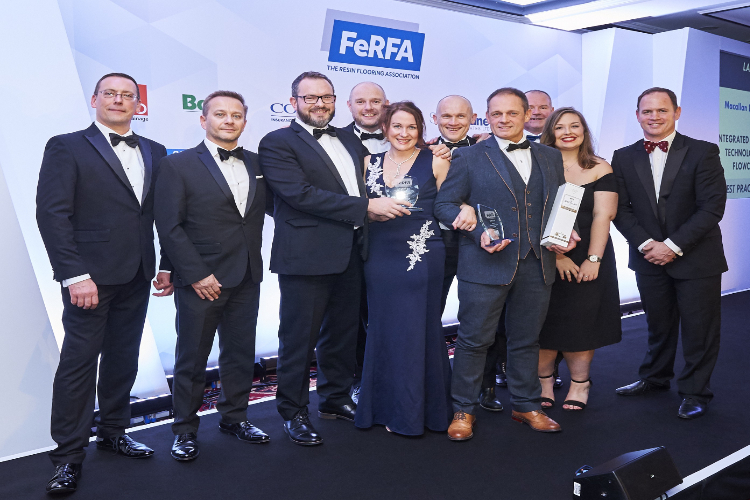 At the awards ceremony Flowcrete UK was first presented with the Large Industrial Project of the Year award, thanks to its work at The Macallan’s stunning new whisky distillery. 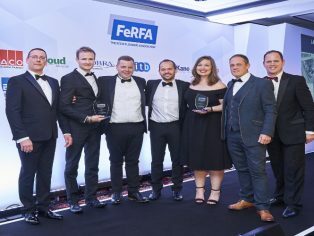 This was soon followed up by winning the Large Commercial Project of the Year category in recognition of the Menai Science Park’s (M-SParc) Flowcrete UK floor. The Sandbach, Cheshire, based resin-flooring manufacturer was also nominated in the Innovation Award category for its fast curing terrazzo system Mondéco Rapide. 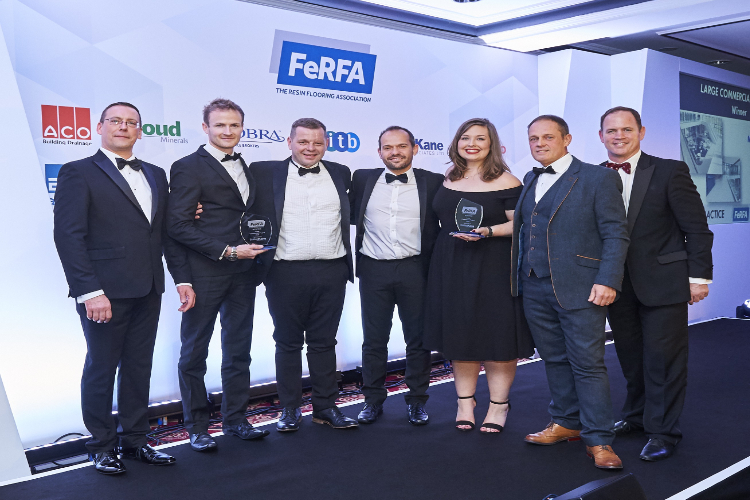 The two Flowcrete UK projects that are now FeRFA winners are both exciting examples of unique flooring installations. 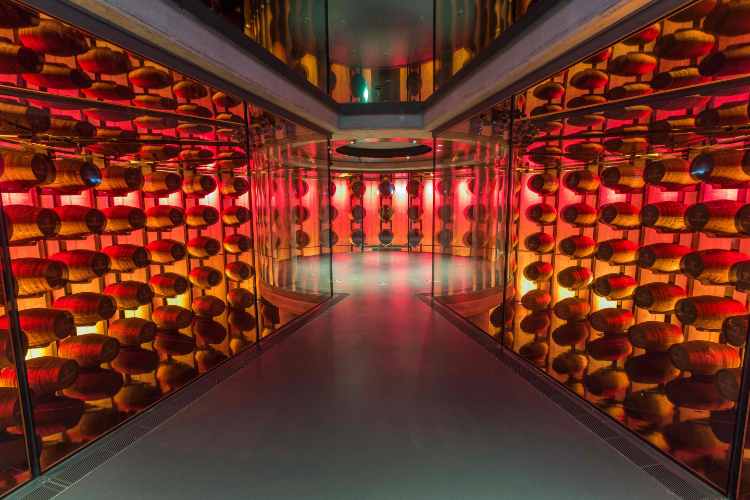 Over 21,000 square metres of Flowcrete UK’s systems were chosen to ensure that the floor in each part of The Macallan’s site was up to the task at hand. This included a robust polyurethane coating for the production areas, fast curing and slip resistant floors for the main tourist routes, a high-gloss and shiny black epoxy surface in the cask room, a natural-effect stone carpet for the external perimeter as well as other assorted screeds, primers and coatings. The bespoke, decorative finish that was required had to be completed within a very tight turn-around and in a busy site located in the middle of the Anglesey countryside. Thanks to the dedication and expertise of Flowcrete UK and Coatech, the project was finished to the client’s high standards and in time for the science park’s grand opening.